Last year the blogosphere tripped over itself with praise for Cahalen and Eli -- myself included. The general theme was the duo's ability to seamlessly weave original songs with the classics. This time around, Cahalen and Eli have kicked up a notch. The album has a distinctly Appalachian feel (at least to my untrained ears.) The songs trade stateliness for fancy licks. This is a party album, to be sure, but the slower songs like "Off the Chama" will put a little mist in your eye. For me, the highlight of the album is the title track. "Livin' in America" is that curious folk song that makes you feel triumphant and alive until you take a second look at the lyrics. (I'm pretty sure that characterizes half the music I love. What does that tell me about my character?) 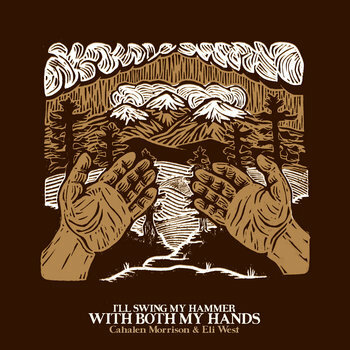 At any rate, I'll Swing the Hammer is sure to be one of the finest folk albums released this year. Get the jump on it now.